Welcome to the Hoodview Amateur Radio Club Web Site! You will want to keep checking this site often! If you are interested in finding out more about our club check out this site and feel free to call or e-mail any of our club officers. 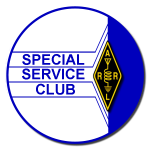 If you are interested in becoming an Amateur Radio Operator, that’s great! You might like to have your questions answered by someone who is just a little further along this road than you AND You’ll just have to check this link: HOW TO GET STARTED in HAM RADIO ! Hoodview Offers a Scholarship at Mt Hood Community College! Check out what you need to know if you are going to take a test! Take C entrance off 257th (Pond Parking Lot). Classroom on Lower Level marked with Yellow Star on this map. Portland NET has scheduled a Citywide exercise on Sunday April 28th from 12:30AM until 4:00PM. ARES has been asked to operate a Resource net on the 147.280 repeater. The Repeater will be in use for Portland NET has scheduled a Citywide exercise on Sunday April 28th from 12:30AM until 4:00PM. ARES has been asked to operate a Resource net on the 147.280 repeater. Copyright © 2019 by WB7QIW. All rights reserved.